Abhishek Kumar from Chhapra, B.E. - B.Tech Graduate. AUTO CADD PROE SOLID WORKS MS EXCEL MS POWER POINT POKA YOKE KAIZEN ..
are one of expert skill area's of Abhishek Kumar . 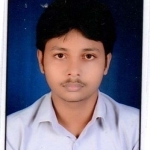 Abhishek Kumar is working in Quality/Process Control industry.